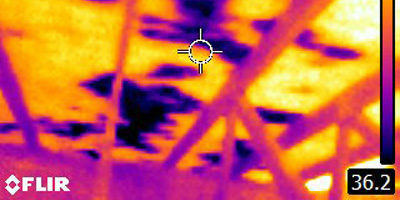 Infrared cameras or thermal imaging cameras (colloquially known as a TIC) render infrared radiation as visible light. Best Choice Home Inspections puts this technology to use for you with dramatic MSX thermal images that clearly reveal problems such as sources of energy loss, moisture intrusion, structural issues and overheating electrical components. For companies like Best Choice Home Inspections it is increasingly important and in the values of the company to support locally owned businesses, their products, services and US manufactured items. In the spirit of entrepreneurship and promotion of local companies we would like to share the below article with you.